Have you ever worked with chestnut flour before? This delicate and lightly sweet flour made from ground dried chestnuts has become a new favorite of mine. Common in Italy, where it is regularly used for everything from savory pastas and dumplings to breads and cake, the flour is actually a wonderful (and entirely gluten free) substitute for all purpose flour. Unlike other nut meals, which have a high fat content, chestnut flour is relatively "dry" so it can replace regular flour in recipes at a much higher percentage than almond meal (effective if you're trying to reduce carbohydrates or simply the amount of refined flour you eat). It's also lower in calories and, as an added benefit, the natural sweetness of the chestnut means that recipes that use it can be made with only minimal amount of sugar. Apart from the dietary benefits, the flour itself is delicious! When you first open a bag of it, dip your pinky finger in and taste it. Naturally sweet, nutty, almost fruity; you'll quickly understand why it makes such an incredible flavor base for recipes. 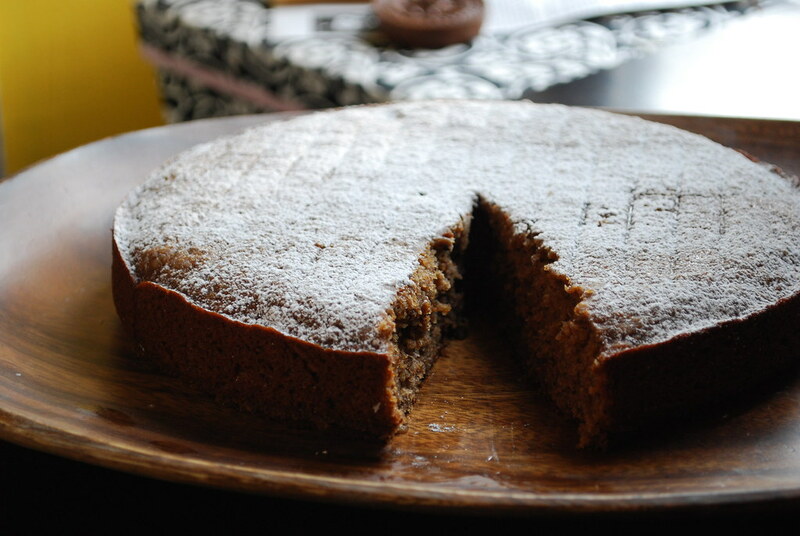 I've been craving bananas quite a bit lately (coupled with my insatiable thirst for coconut water lately, I suspect there must be some kind of potassium deficiency going on), and decided to try pairing this lovely flour with coconut for a moist, gently-spiced cake. Since most of my banana cake and bread recipes tend to lean towards more autumnal flavors, I took inspiration from the summer heat and decided to go for something a bit more summery and reminiscent of the island vacation I'm also quite badly craving right now. Cardamom, allspice, and (of course!) a bit of dark rum paired wonderfully with the sweet chestnut and ripe bananas. I served the cake plain with just a light sprinkle of confectioner's sugar on top to decorate it. 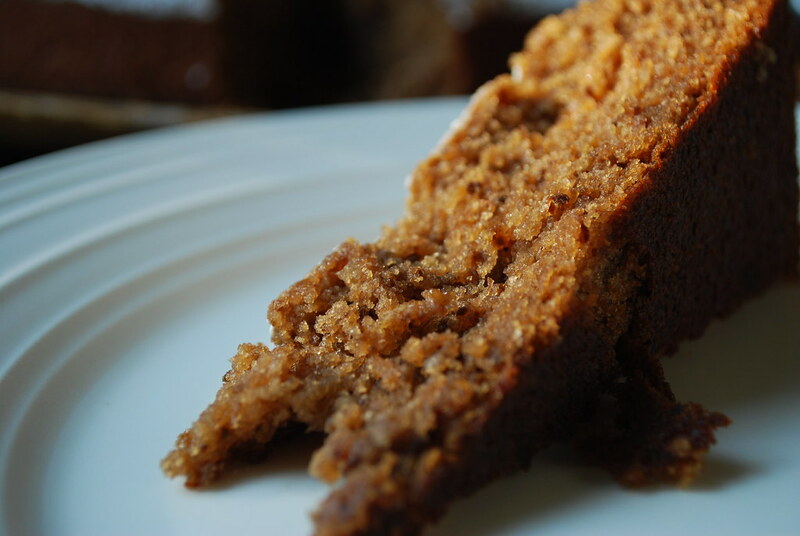 It's incredibly moist with a soft, slightly sticky crumb; perfect with a cup of tea or in the morning as breakfast. 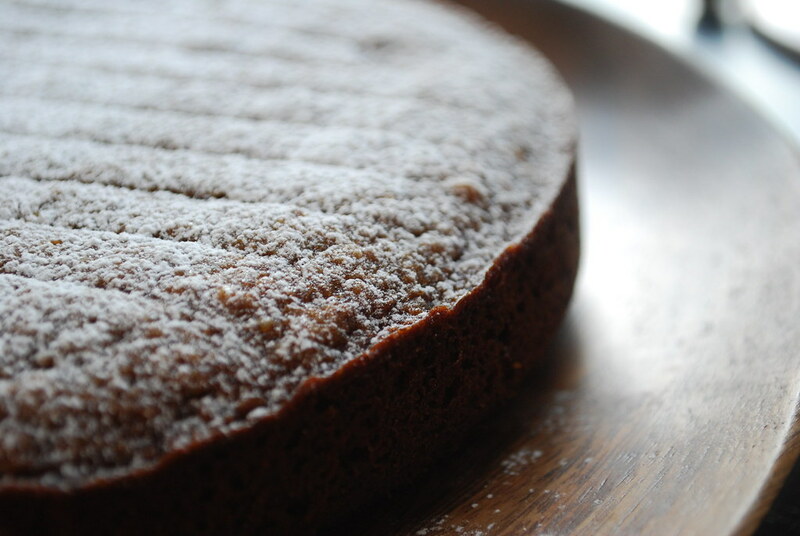 The chestnut flour is really what makes this cake, so please don't try to substitute something else. 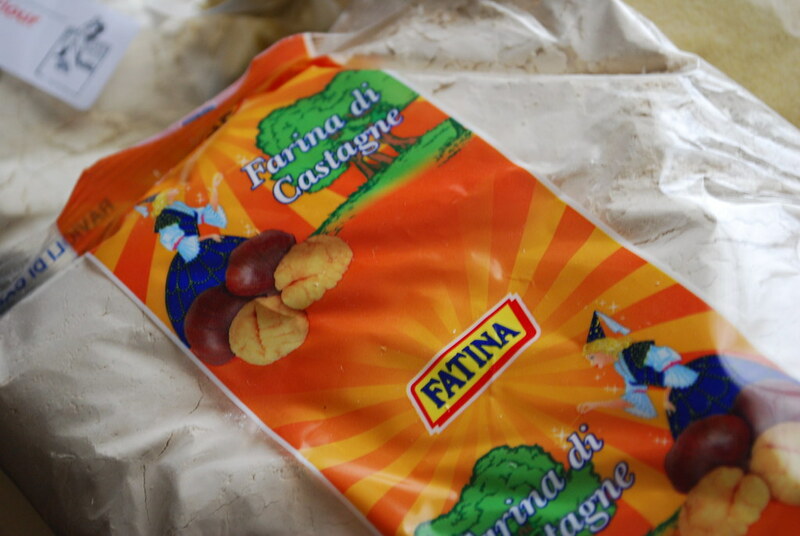 If you're not sure where to find it, I suggest first trying any local import stores (particularly Italian ones) where it may be labeled farina di castagne (chestnut flour in Italian). New Yorkers should head to Chelsea Market, Arthur Avenue, or down to Little Italy. I bought this particular bag at a shop in the Italian Market in Philadelphia. If you don't have luck finding it in a brick and mortar shop, I highly recommend the online retailer nutsonline.com. They're one of my favorites and I order baking supplies regularly from them. You can also find several vendors on Amazon who stock it. Take care to make sure you're getting plain chestnut flour; smoked chestnut flour is also sold but that's for use in savory dishes (and it's delicious). Butter and flour a 9” springform pan. Preheat the oven to 350 degrees. Combine the chestnut flour, AP flour, ground nuts, baking soda, salt, cardamom, and allspice in a large bowl. Whisk until everything is evenly combined. Set aside. In a separate large bowl or the base of your stand mixer, combine the oil and sugar and whisk until well combined. Add the egg one at a time, mixing each in until it is well incorporated. Add the rum, vanilla extract, bananas, and coconut milk until everything is mixed well. Gently add the flour mixture to the wet ingredients and mix in by hand until it is all incorporated and no dry spots remain. Pour the batter into your prepared pan and bake at 350 degrees for approximately 30 - 40 minutes or until a tester inserted in the center of your cake comes out clean. Let cool in the pan for 5 minutes, then remove the sides and slide cake onto a cooling rack. Let cool completely. Dust with confectioner’s sugar before serving, if desired.